How many times did a sniper annoy you by camping atop the hill? Many, right? 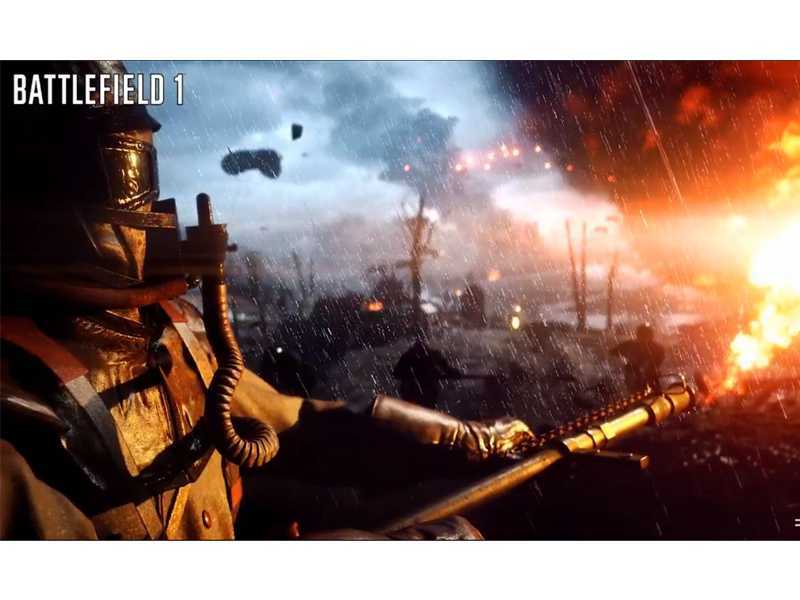 Battlefield 1 drastically changes this annoying factor in multiplayer matches with dynamic weather and destruction. Destroyed buildings and ripped off tress are nothing new to veteran Battlefield players. However, dynamic weather is an altogether different beast and it could seriously annoy those campers who spend majority of the match camping in the same spot. Climbing atop a hill is always an impossible task once the enemy team takes control of it. The support and snipers will ensure you never cross the line. Such things will no longer be possible in Battlefield 1. At the E3 2016 demo, the developer team at DICE confirmed that there will be random fog and snow in a map throughout the match. It could suddenly change how things look and give an unfair advantage to the losing team. Within minutes, they could be on top of the hill and in close combat, those pesky snipers don’t stand a chance. Destructions is once again revamped on a whole new level. Maps will never look the same as they will undergo drastic changes, making it impossible to choose one strategy and stick to it till the end. The building that you used to secure yourself for the first ten minutes will no longer be there. The only way to escape a fire is to look for trenches created by the artillery. The World War I setting does minimize the use of modern weapons but there is still plenty of choices to look forward to. DICE has not confirmed the types of weather they have implemented in Battlefield 1. But, the company is known for their massive elements integration. During the demo at E3 2016, the fog was the only change that took place in the particular map. But, with dozens of maps in the final game, we can sure expect sand storms, rain and other difficult conditions that could change the tide of the battle in a moment’s choice. Besides all these familiar changes, EA and DICE are taking a new route with Battlefield 1. There are strict specifications for classes. The type of soldier you choose, weapons and vehicles matters a lot. Someone who specializes in vehicle may not be powerful in close combat and it is important to pick what you are good at. We will know more about it when the open beta is out.